Attracting funding organizations and large individual contributors to donate money to your not-for-profit organization is a little like finding a spouse — you want to create the best impression during the courtship in the hope that the other person will find you to be a "good catch" and make a commitment. The financial information on your nonprofit has the potential to create a great first impression. Before deciding where to put its dollars, a major funder will likely request two pieces of information to make its assessment of your organization. One is a copy of your most recent audit or financial statements prepared by your accountant, and the other is a copy of your most recently filed Form 990. Your challenge is to make sure that information in these documents presents your organization accurately and in the most favorable light. Armed with this information your potential funder will be able to see how your not-for-profit organization stacks up against similar organizations. Your program spending ratio is one of the most common benchmarking measurements that will interest possible funders. The ratio is calculated as program expenses divided by total expenses. The resulting percentage is the portion of your not-for-profit's expenditures spent on program services. The higher the percentage, the more efficient your organization is with funder dollars. In its BBB Wise Giving Alliance Standards for Charity Accountability, the Better Business Bureau (BBB) holds that a nonprofit should have a program spending ratio of 65% or higher. Several nonprofit watchdog organizations, including Charity Navigator and the American Institute of Philanthropy, routinely rate and publish this percentage for some of the larger and more prominent nonprofits. A funder will benchmark your not-for-profit against these percentages to determine if your organization — or someone else's — will likely spend its dollars most efficiently. Because of this, it's important to accurately categorize your expenses by function. This maximizes the amount allocated to program costs as opposed to management and general or fundraising expenses. How Your Organization "Brings Home the Bacon"
Your not-for-profit organization's fundraising efficiency ratio is another metric that frequently interests potential funders. It's calculated as total fundraising expense divided by contribution and grant revenue. "Contribution and grant revenue" refers to those revenues received as a direct result of your not-for-profit organization's fundraising activities. This resulting percentage is a signpost of how much it costs to raise each contribution dollar. Generally, the lower this percentage, the more dollars available to support program services. The BBB states that this percentage should be no more than 35%, which would mean it costs no more than 35 cents to raise each contribution or grant dollar. How Is Your "Household" Managed? Another good measure of a nonprofit's efficiency is the portion of expenditures spent to support administrative functions, or the management expense ratio. It's calculated as total management and general expenses divided by total expenses. Most funders want to see their donations support program services and thus will look for organizations with a low percentage of management and general to total expenses, usually in the range of 25% or less. A nonprofit with a high percentage will generally be deemed inefficient in running its organization, unless it's able to communicate the reasons for the unusually high percentage. Most funders will consider other financial factors, as well. Some may perform a trend analysis, placing the three most recent years of financial information side by side to see the increasing or decreasing trends in revenue and expenses. A decreasing trend in financial support could indicate that the not-for-profit organization will be unable to sustain itself in the future. Or, if program expenses are growing at a faster rate than fundraising expense, the not-for-profit organization could be experiencing some inefficiencies or mismanagement. Many funders also will examine your accumulation of unrestricted net assets. A successful not-for-profit avoids accumulating an excess of unrestricted funds that otherwise could be directed toward program services. According to BBB guidelines, a not-for-profit organization's unrestricted net assets available for use should be no more than three times the size of its past year's expenses or three times the size of its current year's budget, whichever is more. If unrestricted net assets appear excessive, a funder may decide the nonprofit doesn't need the contribution. To avoid the appearance of accumulating excess funds, an organization may choose to designate, either on the face of the Statement of Financial Position or in a descriptive footnote, certain amounts for specific purposes such as debt service or building repairs. What Type of Image Does Your Organization Present? In short, it's in the best interest of your organization to understand what the numerical information on financial statements and Form 990 can represent to funding organizations, individual contributors and others in the public domain. The image your organization is presenting to possible "suitors" can draw them in or send them running. 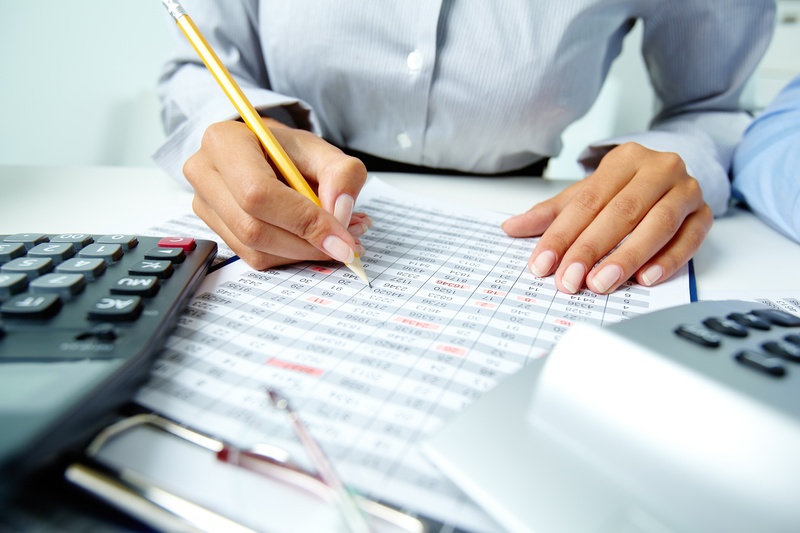 Are your nonprofit’s financial statements as impressive as they can be? Concannon Miller has worked with nonprofit organizations for most of its 55-year history, and could help your nonprofit achieve stronger financial footing. Contact us, or read more about our services for nonprofits here.